You are currently browsing the tag archive for the ‘insider trading’ tag. You’re a JD candidate. You expect it will provide for a predictable and lucrative career despite the massive price tag. However, law school hardly looks like the ticket it once was. With law firms shrinking around the country, clients insisting on flat rates, and a new wave of highly sophisticated outsourcers, both domestic and international, not only are there fewer jobs, those that do emerge are less stable and less remunerative. Whoops! A former financial analyst at NVIDIA pleaded guilty today of criminal conspiracy and insider trading charges. Sonny Nguyen, 39, agreed to provide material nonpublic information he gathered in his role at NVIDIA to peers in an insider trading ring that allegedly spanned, among others, Winifred Jiau, a commonly used expert Primary Global Research LLC network of consultants. It would almost seem that the probe is widening, but it’s not. If anything, it appears to be narrowing. Investigators have illuminated what looks like a rich vein of corruption, circumscribed by a series of bad actors, both admitted and alleged. If no more convictions come of this, at least it will serve as a lesson describing the importance of compliance policies, procedures, and systems organized by industry-leaders, such as Gerson Lehrman Group, when speaking with outside experts, and at most, it may provide the contours of a gripping movie. Even inside information from an ‘expert network’ would not have helped. Not even an expert network would have helped, says Yves Smith of the earthquake in Japan, rather blithely suggesting that an expert network is nothing more than a vehicle with which to exchange material non-public information. Would it were the case. 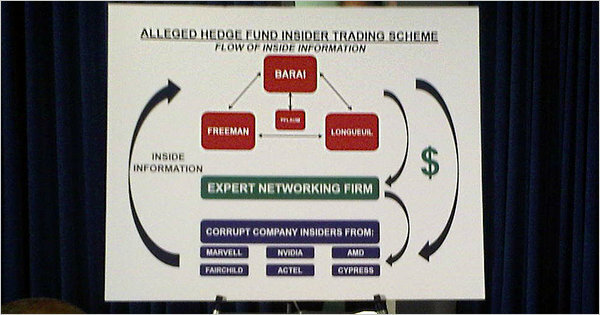 If only inside information equated to expert networks, imagine how easy enforcement of insider trading would be! Shut down the networks, Smith might say, and we will purge the rot of a rigged game from the system.